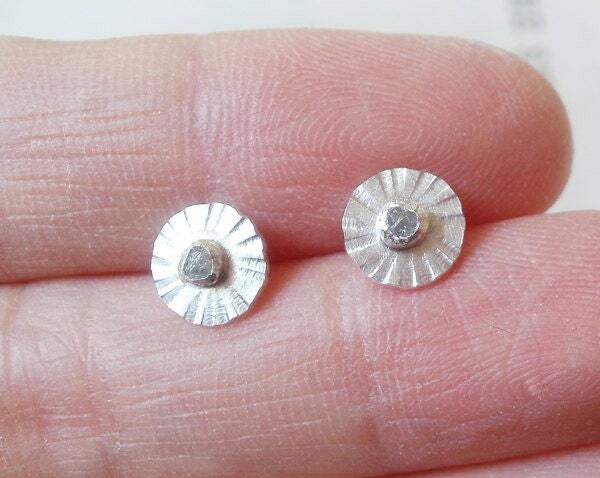 These rough diamond earring studs are handmade at my studio in England. 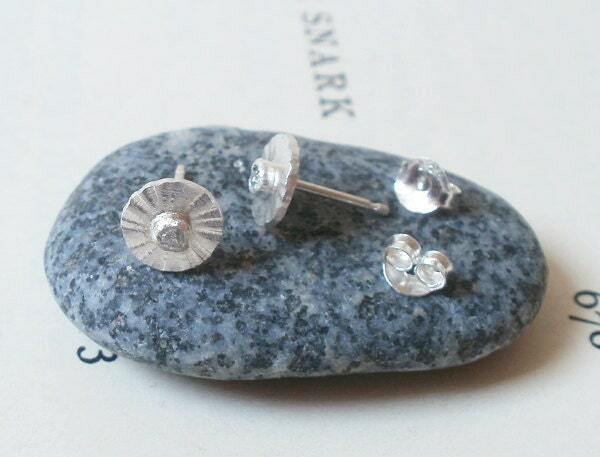 The conflict free rough diamonds featuring in these earring studs are all natural and untreated. Each of them has its unique shape and beauty. Matching rough diamond ring and rough diamond necklace are also available. 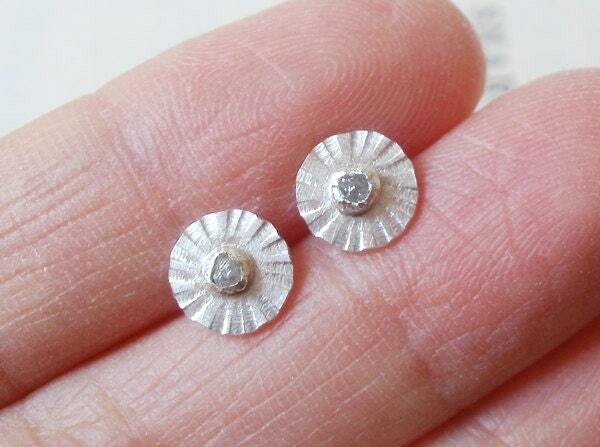 The stud earrings are very sweet and were exactly what I was after. They are beautifully made. Wow - these are beautiful. They are so comfortable on the ear too - thanks so much. I will be back - I have my eye on the orange sapphire earrings and pendant!